Above ground swimming pools don’t last forever. A good-quality above ground made in North America should last between 10 and 20 years. Though, don’t think that if your pool is newer than that, it should still be OK. It may not be. 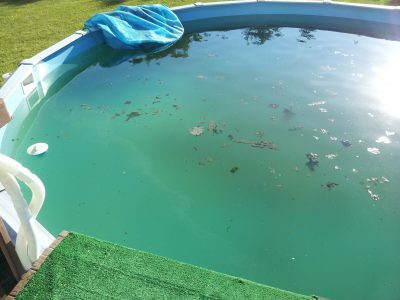 Conversely, if your pool is more than 10 years old, it may not yet need replacing. I have often taken down and replaced pools that didn’t have to be and also just installed new liners in pools that were quite done. As I have said earlier, above grounds last between 10 and 20 years on average. Liners last about half that time so you can count on replacing the liner in your pool at least once, but probably more during the life of the pool. The thicker, fully printed liners will last on average between five and eight years. The thinner, standard solid blue liners usually last between two and five years. So, it’s much better to spend more for the nicer one. Reality check: Above ground pool liners will come with 15-year and 25-year warranties. These liners won’t last even close to that long. The warranties are prorated so don’t think you’re going to get much of a discount when it needs replacing after only three years. Not Sure If Your Pool Needs Replacing? If you are in one of the following six scenarios, maybe I can help with an answer. Let’s play the yes, no, or maybe game. Wait. We’re talking about above ground pools so it should be mostly called the maybe game. Most things that hold water will eventually leak. It’s a fact so don’t freak when it happens to you. Chances are the pool doesn’t need replacing. Its liner may need to be replaced though. 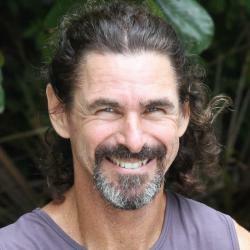 So, find my blog post on how to find a leak in an above ground pool and go from there. If you find the leak and also find a very rusty pool wall, then it could be yes. Just because your pool looks old and faded from the sun doesn’t mean it needs replacing. You may not like the way it looks, but as long as it safely holds the water, you are good. Some paint their pool walls and replace the top rails (if they can find replacements). Some will also build a new deck and add lattice to hide the pool and that’s nice. You can always replace it too. I’ve seen many people replace a good working pool because they didn’t like the way it looked and that’s OK too. It’s your money and your backyard and you shouldn’t have to feel negative when you go back there to enjoy the pool. OK, so your pool’s water always used to look great and clear and now it always looks cloudy or green. This is in no way the pool’s fault and you don’t have to punish it by replacing it with a new one. You may want to replace the equipment, though. If your pump is old and you have a bad filter or a small sand filter, it may be tough to keep it clear. Replacing it with a newer, bigger cartridge filter can do wonders for your pool. You may even start to enjoy having it again. Also, if your pool leaks and you have to keep adding water, fix the leak. It will make a huge difference in maintaining the pool. So, quit living with the leak and fix it. Rusty or corroded top rails on a pool can be a pain, but it’s usually not a good enough reason for replacing the entire pool. First off, the top rails have almost nothing to do with keeping the water safely in the pool so don’t worry about the rust affecting the pool structure. If the rust is minimal, some will take them off and sand them down and paint them and that’s cool. The corrosion will continue, but it’ll look nicer for a while. 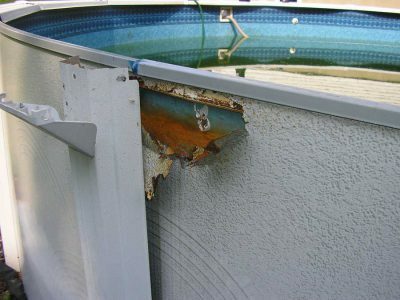 If the corrosion is extensive to the point that rust is always falling into the pool or its jagged edges are a danger to swimmers, then that is a little different. Your first thought will be to see if you can get replacement top rails for it and that’s a good idea if you can find them. With a lot of above grounds, you won’t be able to find replacement top rails for it. If you do find the correct top rails, you’re going to pay a lot for them, but that may be better than getting a whole new pool. INYO Pools has the best selection of above ground pool parts that I know of online, so try them. (And I’m not just saying that because I write this blog for them). Above ground pool walls can get rusty on the inside where the liner touches. It’s not great to have rust on the pool wall, but it’s usually not a big deal. Some surface rust is fine and can be sanded down and painted with a rust inhibitor. You can also cover smaller areas with tin or some kind or metal or duct tape. If most of the inner wall has surface rust, get wall foam and spray glue and apply it before installing a new liner and you should be good. Pool walls that have rusted or corroded all the way through mean it’s time to get a new pool. If you can poke a screwdriver at the rust and it goes through the wall, that’s very bad. That means the wall’s ability to hold all that heavy water is severely compromised. When a pool wall loses its integrity, it can split open from the outward water pressure and when that happens, the pool is dead. A couple of small rust holes going all the way through the wall can be repaired with probably no future issues and bigger holes can be repaired with a new piece of wall installed from top to bottom. Though, for the average homeowner, I don’t recommend taking that chance. Save your money and get a replacement pool. In doing so you won’t worry that the wall may split open and your napping Pomeranian won’t have to take a wild backyard river ride. at least 10 years old … any thoughts on replacement . I drained the pool and removed the liner. My son spot welded a piece of sheet metal to the area of the hole, then, I took fiberglass and did a patch halfway up the wall on both sides. We haven’t yet installed the liner, is fiberglass even a viable repair? My pool is bending away from the center. It is an oval pool. Should I take down the pool and start over or repairs it?